This property's price has dropped from £170,000 to Offers Over £160,000. King and Chasemore are delighted to market this well presented, one bedroom flat situated in central Worthing. The property would make an ideal investment or first time buy. 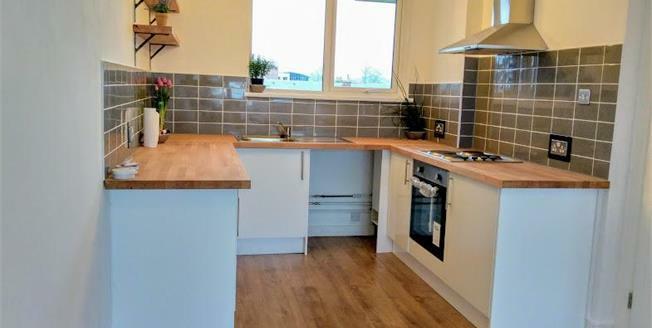 There is a large open plan lounge diner with newly fitted kitchen featuring a solid wood worktop, space for a washing machine/dishwasher and glimpses of the South Downs can also be seen. The large double bedroom is presented with newly fitted carpet and large windows to provide plenty of natural light. A newly fitted bathroom benefits from a three piece suite including a shower. In the hallway there is a utility cupboard with additional plumbing for a washing machine if needed. The property has undergone complete renovation and also benefits from a south facing balcony. Being situated in the heart of the town center enables a short walk to local bars and restaurants, the hospital and is also a short stroll to the seafront. There are excellent transport links available via Worthing train station, the central taxi ranks and the towns bus stops which are all easily accessible by foot. Secure permit parking is also available in the Guildbourne Centre car park. This property is sold with no onward chain..